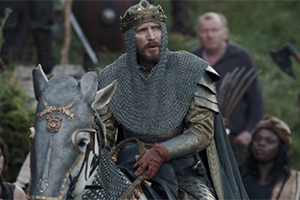 If you watch any amount of TV, then you probably have seen Bud Light’s latest campaign featuring a King, his kingdom, and heard his catchphrase “Dilly Dilly.” In their latest spot, an opposing force outmatches the King and his rabble of an army, who is out of Bud Light. That doesn’t stop him from giving the most uninspiring speech in history and charging the field to seize the enemy’s Bud Light. ﻿ You can watch it here. 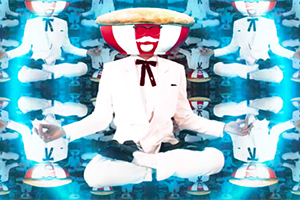 KFC is on the experimental side of branding with an endless roster of colonels, social media stunts, and their latest Zen-like campaign. The fast food giant released six videos focusing on meditation, relaxation, and a soothing voice over that will either make you “one” or put you to sleep. Check out one of the spots here. Everyone loves music, even dogs. 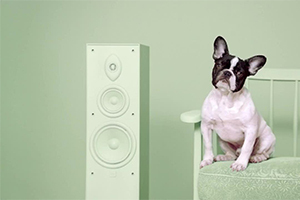 Adweek tells us Spotify has teamed up with an animal shelter in Germany to create Adoptify. The program uses Spotify’s tracking and analyzing to match customers with dogs that are up for adoption. The pairing is based on the musical tastes of both the user and the dog, ensuring a perfect match for both. 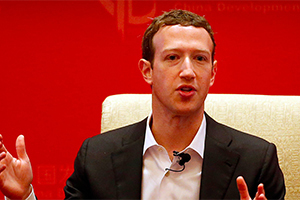 Facebook CEO, Mark Zuckerberg, says he aims to prioritize the News Feed focus on “friends and family’s” posts over content published by brands. Although the user experience will improve, brands that want to reach their audience on the platform may need to find a work around. This follows a year full of fake news and Russian-backed content that many believe were a major influence on the 2016 Presidential election. Logan Paul is an Internet influencer on YouTube. 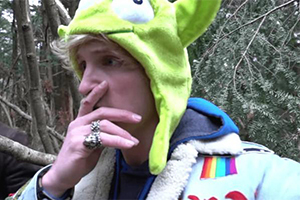 His channel has nearly 16 million subscribers, which call themselves the “Logang.” Paul recently made national headlines for filming a dead body in a Japanese forest known for suicides. Another video shows Paul dressed as a Pokemon character, throwing Pokeballs at Japanese residents and police, playing with dead fish, and engaging in other questionable behavior around Japan. YouTube has removed Paul from Google Preferred, a premium ad program, but ads will continue to be played on his content through YouTube’s Partner Program. 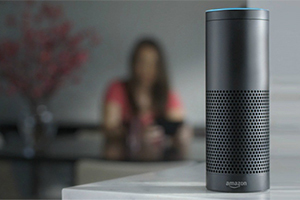 Until last week, the Amazon Alexa app was used to manage smart home devices and their settings. Today, the app now has voice control so users can simply speak a command and begin playing music or activate other Alexa features. TechCrunch tells us the software update is only available for the Android, but an iOS update is on the horizon. Tech experts believe this will narrow the gap between Amazon’s mobile products, Apple’s Siri and Microsoft’s Cortana. An anniversary offers businesses the opportunity to throw a bit of brand caution to the wind. You are allowed to adjust and alter things that ordinarily are sacrosanct. Go ahead, introduce an anniversary logo and tweak your tagline. Put a little extra punch in your positioning and promise. The brand police don’t make arrests when a business breaks with consistency as long as there’s this kind of justification. We’re celebrating our 25th! Our 30th! Our 50th! We’ve been in business for 70 years! Anniversaries give you permission to have some fun while highlighting the fact that, in the business world, the good don’t die young. Companies that exist decade after decade are doing something right. Our newest client, San Diego-based Point Loma Credit Union was born in 1948. So, 2018 marks their 70th, a milestone they can use to reintroduce themselves to membership, media and the communities they serve. Point Loma Credit Union’s logo was based off the region’s iconic old lighthouse which was built in 1855. Our graphics arts department framed the logo illustration of the lighthouse with the zero in 70. We added an ever so slight variation on the tagline, Guiding you to your future, turning it into an anniversary emphasizing, Guiding the way since 1948. PLCU advertises on the PBS Masterpiece series Victoria. It’s a brief, 15-second spot, but we gave it the anniversary touch. Remember, no matter what anniversary your business is celebrating, it will only happen once. You get one shot at stealing some limelight and so it’s important to do it with style and substance. Click here to see the before and after logo and the PBS spot. In the past 20 years, digital has changed the advertising and marketing landscape. There’s been an evolution, and brands that won’t adapt are either extinct or moribund. However, the bottom line basics of marketing and advertising haven't really changed. The tools may be new but connecting and engaging with the consumer to sell the experience, still applies. When it comes to digital, test the waters and get your feet wet. There's nothing to fear. If it's email marketing, online banner ads, mobile, social media, or any other online medium, several myths revolve around digital marketing.